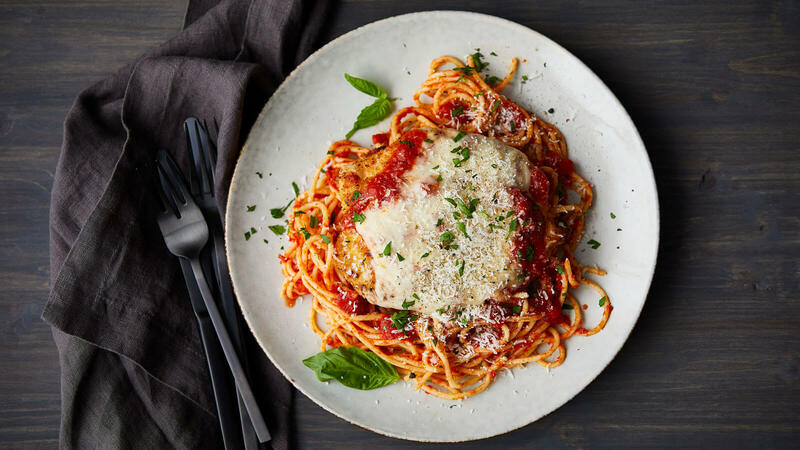 This popular dish is flavorful, saucy and cheesy—in the best way possible. Choose your favorite pasta and a sauce to top off our all-natural chicken, plus a salad for a delectable dinner. The best way to enjoy a classic recipe is to keep it simple. The chicken and cheese should be a gorgeous golden-brown hue when finished. Top the final plated masterpiece with fresh torn basil for a colorful, aromatic garnish and serve with fresh salad. 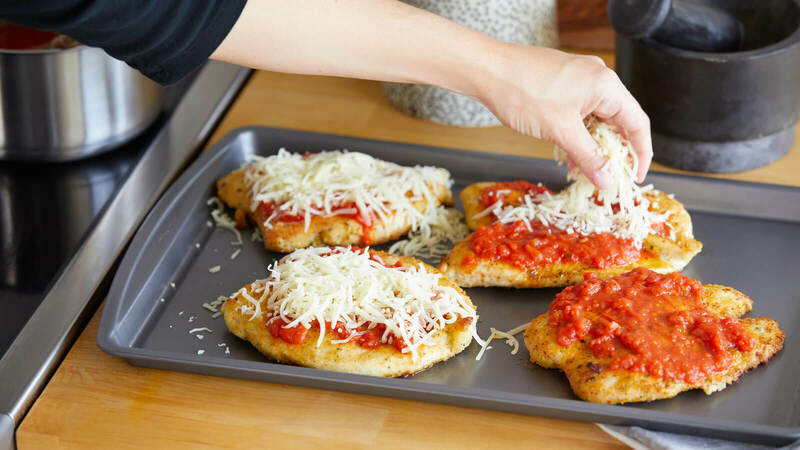 See below for step-by-step instructions on how to cook our chicken parmesan to perfection. Heat a medium saucepan over medium heat. 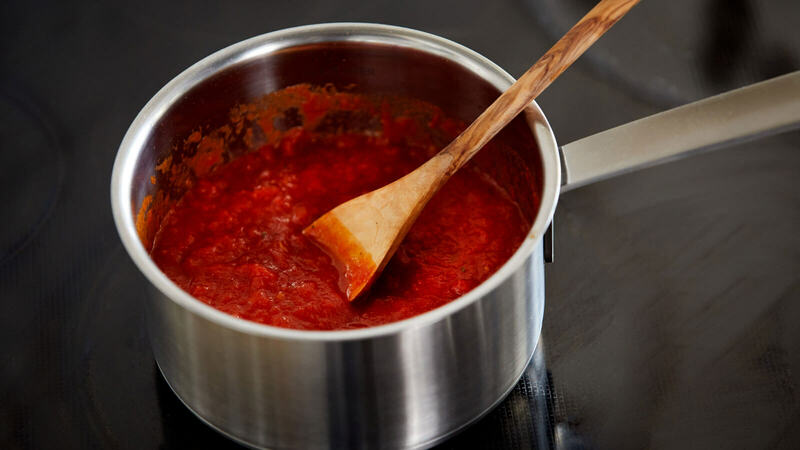 Add all of the sauce and bring to a low simmer to warm through. Heat oil in a large nonstick skillet over medium high heat. 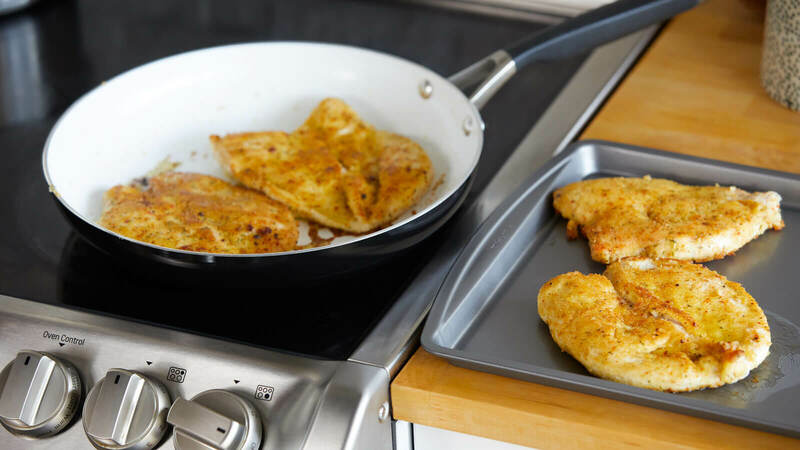 Add chicken to pan and cook until deep golden brown crust, about 3-5 minutes per side. Do not overcrowd pan, cook in batches if necessary. Transfer chicken to sheet pan. Top each with a spoonful of sauce followed by an even layer of cheese. Reserve remaining sauce. Preheat broiler to high with rack 6 inches from heating element. 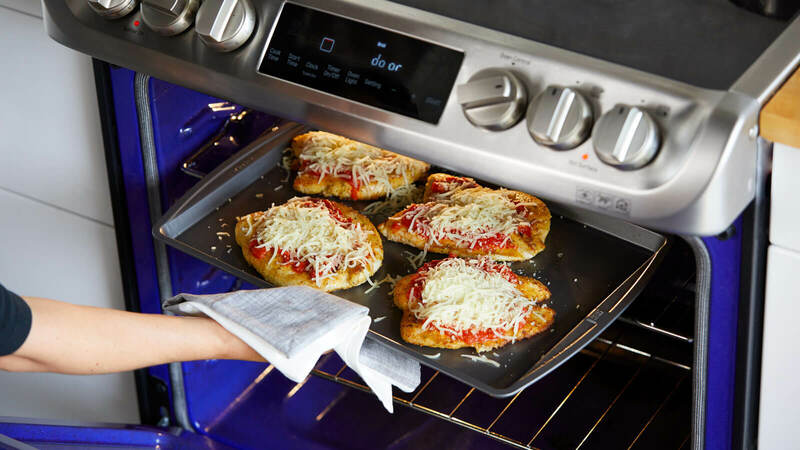 Place pan in oven and broil until cheese is golden brown and sauce begins to bubble, about 2-3 minutes, or until internal temperature of chicken reaches 165°F. Place chicken on plate and pour over remaining sauce. Top with fresh basil if desired.